First established in 1928, The Bennington Bookshop is the oldest independent bookstore in Vermont. We carry a wide range of new books, including those featured on the New England Independent Booksellers Association bestsellers list. We have an extensive children's section and stock a selection of quality cards for all occasions. 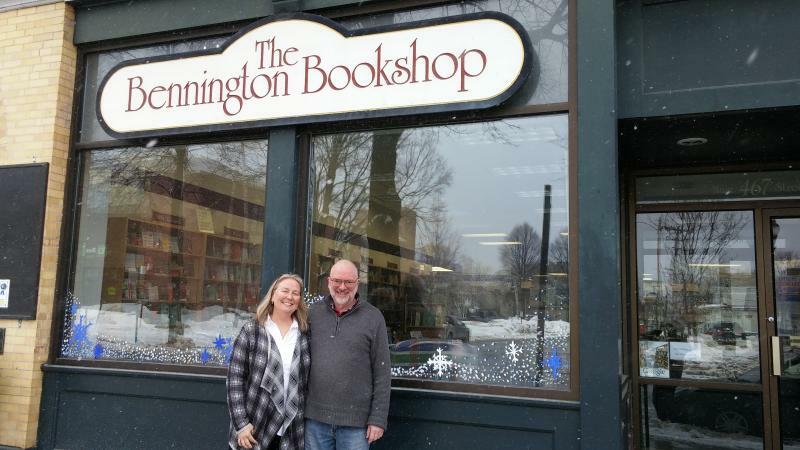 Linda Foulsham and Phil Lewis took over as the new owners of the store on March 2, 2015. This interview with Phil on CAT-TV in Bennington reveals more of their story.